It is almost ridiculous how the issue of immigration in the United States of America has yet to be resolved by Congress. Protecting the borders and instituting a fair and equal process for becoming a citizen and entering the United States seems as though it would be a very easy task for the men and women of the Senate and House of Representatives to accomplish. President Barack Obama knows this all too well and is thus pushing for a thorough reform on immigration to happen in the near future. Obama is making it clear that the United States is a country that has always embraced citizens from around the globe as Americans and right now is not the time to stop doing so. The President then criticized Republicans for making it difficult to agree on an immigration reform. He cited how every time Democrats agree to a Republican demand on issues pertaining to the border, the Republicans add demands to their list and make their ideals impossible to live up to. 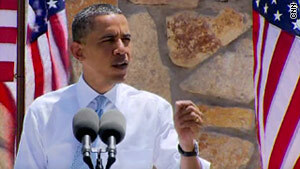 Obama told his audience that the demands of the Republicans are starting to get more and more unreasonable. The goal now according to the President is to revamp the entire immigration system to make it less appealing for foreigners to want to enter the country illegally. This would make it easier for law enforcement to focus their energy on drug smugglers and other criminals who sneak across the border. The Head of State also stressed that deporting millions of immigrants is simply too costly. Instead the goal is to locate all illegal immigrants, make them pay fines for breaking the law, begin to pay taxes, have background checks done, then if they pass, they can begin the citizenship process. While the thought of allowing millions who broke the law to continue to live in America might not seem like it is very fair to those who came here legally, what is the other option? During hard economic times, do we really opt to send police after millions of immigrants, pay to jail them, spend money to put them under trial to make sure they are lawbreakers, and then spend more money to deport them? Or do we accept the fact that they are already here and make them pay the country back via fines and taxes?